ROCKVILLE, Md., February 7, 2019	(Newswire.com) - Sparks Group, a leading staffing and recruiting services provider in the Accounting & Finance, Government, Human Resources, Information Technology, Creative, and Office/Administrative industries announced today that they have earned ClearlyRated's Best of Staffing® Client Diamond Award after winning the Best of Staffing Client Award at least five years in a row for providing superior service to their clients. Presented in partnership with CareerBuilder, ClearlyRated's Best of Staffing Client Diamond Award winners have proven to be industry leaders in service quality based entirely on ratings provided by their clients. The Diamond Award honors those firms that have been selected for the Best of Staffing Award at least 5 years in a row. On average, clients of winning agencies are 2.2 times more likely to be completely satisfied with the services provided compared to those working with non-winning agencies. Focused on helping U.S. companies find the right people for their job openings, Sparks Group received satisfaction scores of 9 or 10 out of 10 from 77% of their clients, significantly higher than the industry's average of 35%. 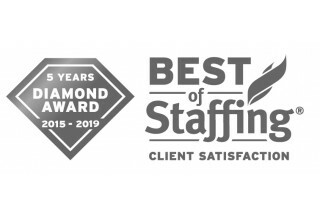 With fewer than 2% of all staffing agencies in the U.S. and Canada earning the Best of Staffing Award, just 35% of the 2019 Best of Staffing winners earned the Diamond Award distinction. The winners of this award truly stand out for exceeding client expectations. 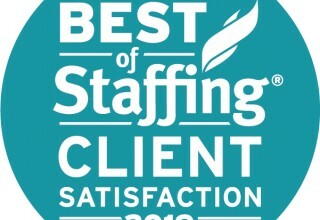 This is the eighth year in a row that Sparks Group has received the Best of Staffing Client Award. "Our company is once again honored to be selected as a Best of Staffing Client Diamond Award winner," said Owner and CEO Steve Sparks. "Our recruiting, account management, and corporate teams work hard to make excellent client service a priority and being selected as a Best of Staffing recipient is a true testament to this. I also want to thank our incredible clients and all of our talented employees, without whom this award would not be possible." "In today's historically tight labor market, hiring managers, procurement professionals, and HR managers need a clear and reputable way to vet potential staffing and recruiting partners," said ClearlyRated's CEO Eric Gregg. 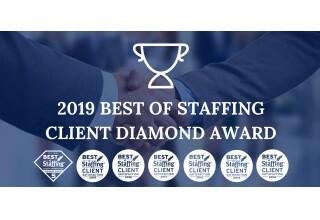 "Best of Staffing Client Diamond winners have set themselves apart from the competition by demonstrating their ongoing commitment to client service, consistently investing in a survey and feedback program that brings transparency to the client experience at their firm. I'm thrilled to showcase these service leaders alongside their validated client ratings and testimonials on ClearlyRated.com!" Sparks Group is the Washington DC Area's leading temporary staffing and full-time recruiting services provider. Each of our four divisions (Office, Accounting & Finance, Information Technology, and Creative) specializes in placing professionals in temporary/contract, temporary-to-full-time, and full-time roles across a diverse array of staffing categories. Sparks Group brings nearly a half-century of experience placing professionals in challenging and rewarding positions at many of the area's top employers. ​​ClearlyRated (formerly Inavero) administers more staffing agency client and talent satisfaction surveys than any other firm in the world, reporting on more than 1.2 million satisfaction surveys from staffing agency clients and job seekers each year. Committed to delivering ongoing value to the industry, ClearlyRated is proud to serve as the American Staffing Association's exclusive service quality partner. 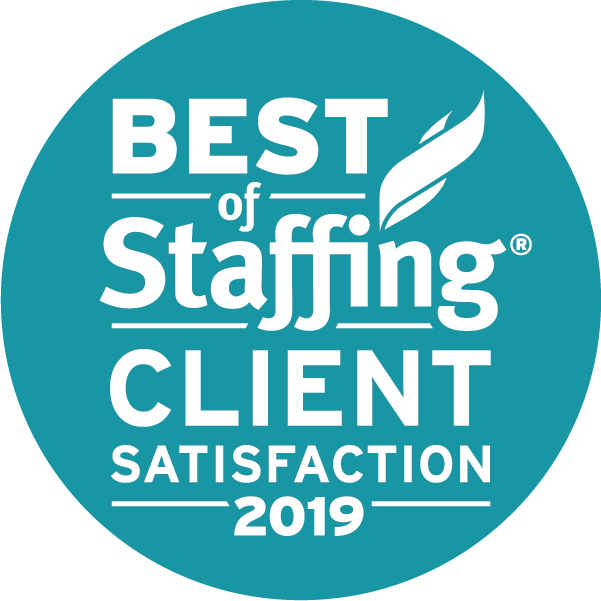 ClearlyRated's Best of Staffing® Award is the only award in the U.S. and Canada that recognizes staffing agencies that have proven superior service quality based entirely on ratings provided by their clients and job candidates. Award winners are showcased by city and area of expertise on ClearlyRated.com - an online business directory that helps buyers of professional services find service leaders and vet prospective firms - based exclusively on validated client and talent ratings and testimonials.